There will be also be a book signing of his newly released book. When: January 26, 2012, at 7 pm. Summer Bestsellers! Come check them out! Attention Book Lovers! Summer Reading that you may want to check out!! A woman returns to the past [in South Carolina] to find her future in this enchanting new tale of loss, acceptance, family, and love. A doctor’s stirring and breathtaking trip to the Amazon to search for her deceased colleague…and larger-than-life challenges. 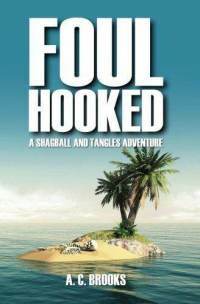 A daughter and heiress to an oil fortune is hijacked by African muslim pirates…and held for ransom. An entire family has been savagely murdered…and Detective Joona Linna convinces a retired hypnotist, Erik Bark, to help. The latest from one of the best American mystery writers. The Hollywood actress and humanitarian remembers her childhood, her famous mother Naomi and sister Wynonna, and her career. The famous 89-year old actress humorously recounts her career and shares her thoughts on important life topics. A first biography of Ann Dunham, mother of the U.S. President. Lantana Public Library is at 205 West Ocean Ave (next to the Post Office).